People who love flawless housing ideas rely on the curved sectional sofa for the sitting rooms, which delivers great elegance to the interior. There are various designs of these sofas, and you just need to make the sofas compatible to the other accessories of the room. 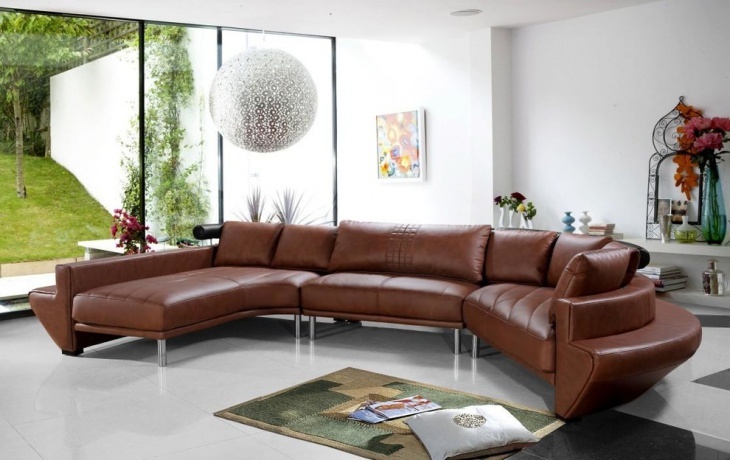 In the contemporary world, people incorporate various Leather Sofa Design ideas and Wooden Sofa in their homes. Here, you will come across ten classy curved sectional sofa ideas and you can implement any of these designs for your living rooms. 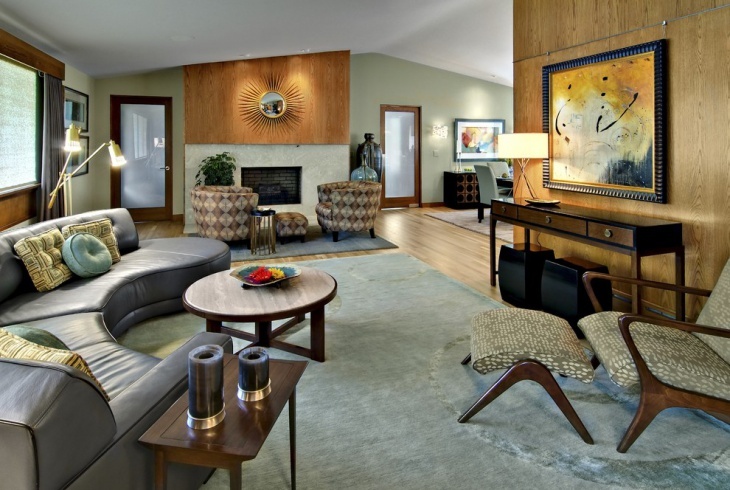 A contemporary living room needs innovative designs with elegant furniture. 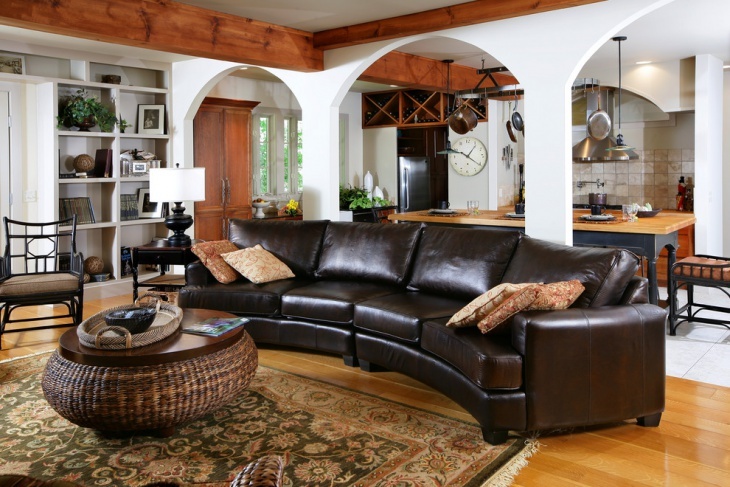 This sectional sofa is ideal for a spacious living room with a well-polished wooden floor. The round glass table at the centre looks great with a black carpet on the floor. The light-coloured sofa has matching dark coloured cushions, and arches along the carpet. 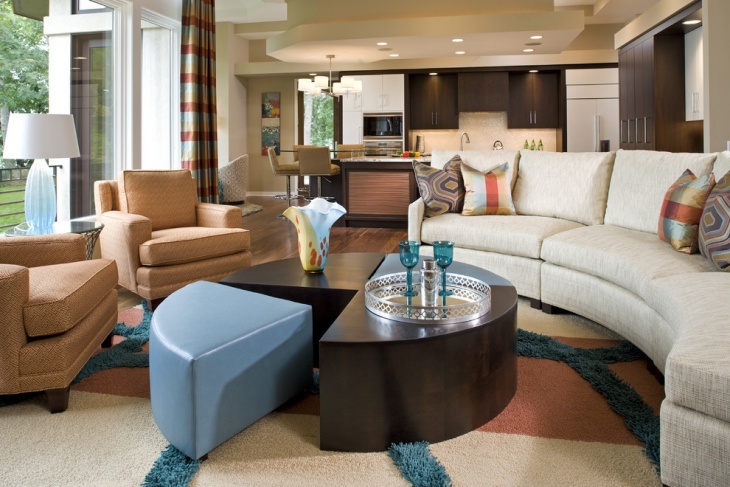 You can get a stunning look for your living room when you place a small curved sectional sofa on a textured rug. 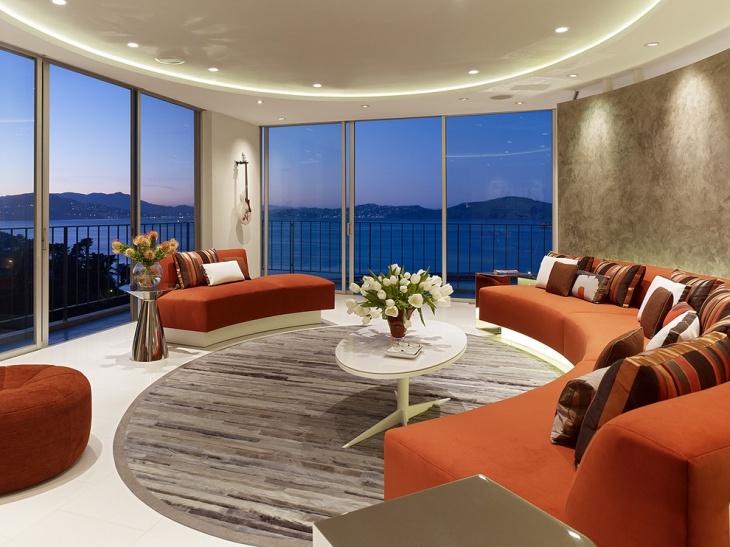 There is a cocktail table in the centre which complements the sofa, and the cinnamon color of the rug and table make a unique match. 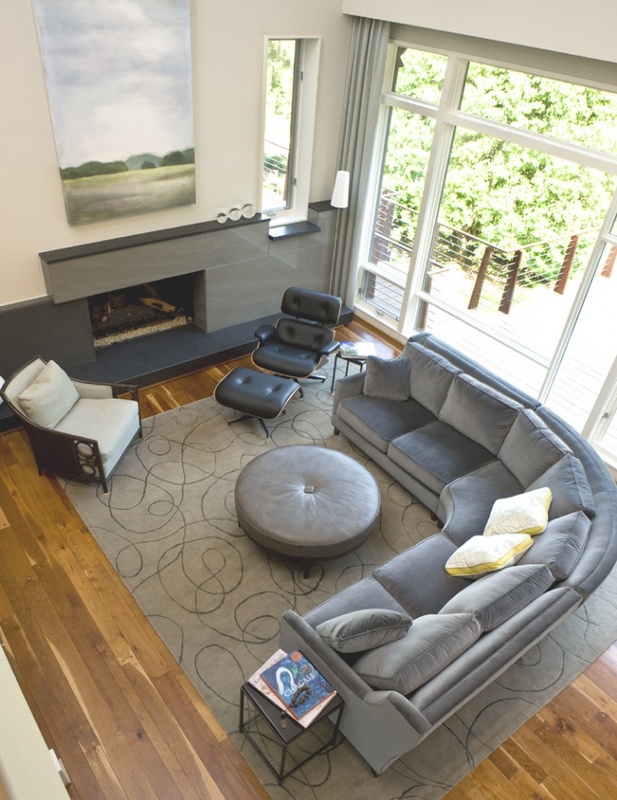 The grey sofa has colorful cushions, and you can incorporate other standalone sofas as well in the room. 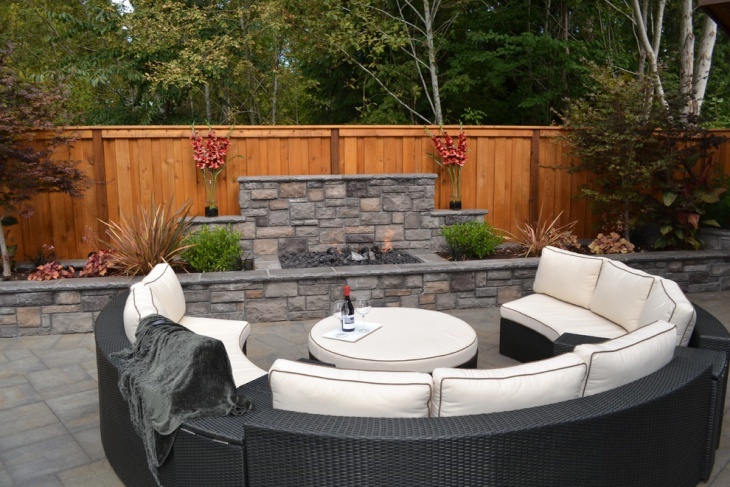 Sometimes, people incorporate the curved sofa idea in the outdoor areas, in the fireplaces or patios. 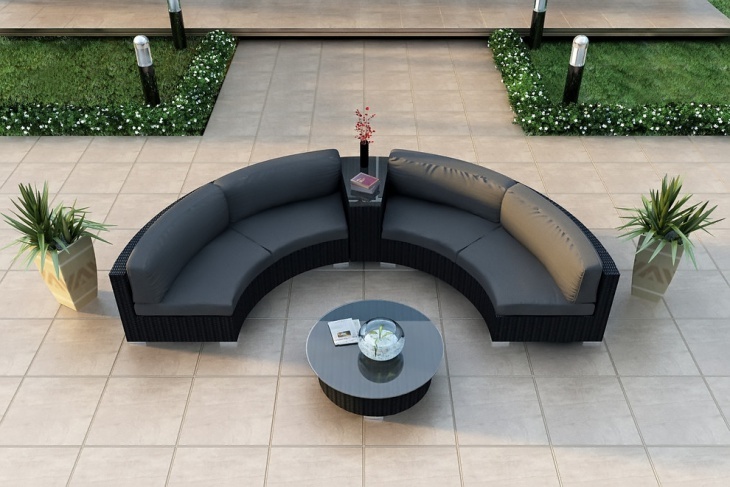 In this particular design, the sectional sofa has a good compatibility with the stone fireplace with wooden walls. 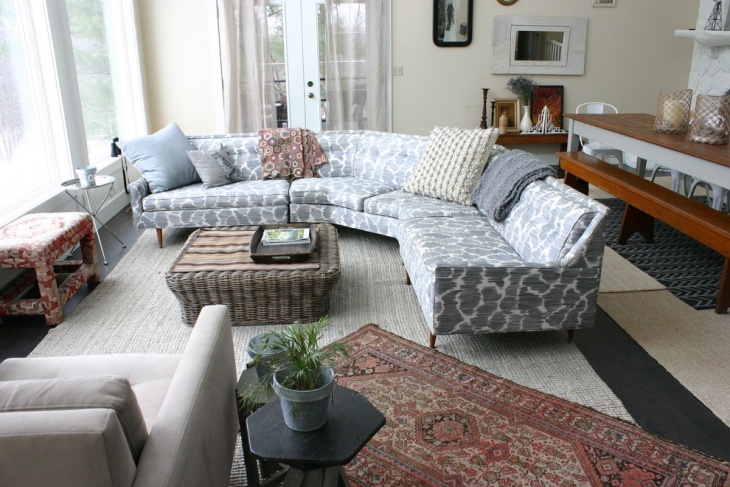 The dark grey color of the sofa complements that of the floor. Get white cushions and a round white table for the sofa. 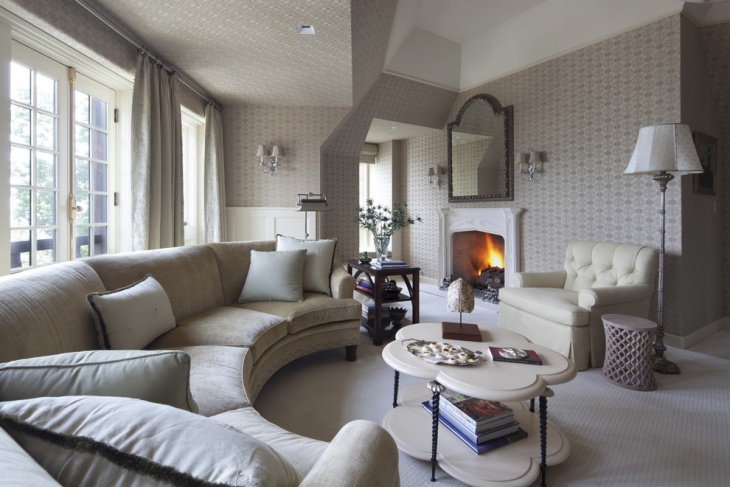 Large and palatial homes with white walls and vertical windows crave for sophisticated sofas. Get in touch with white curved sectional sofas to be placed in the corners of the room. The leather sofas have a good combination with the white floors here. 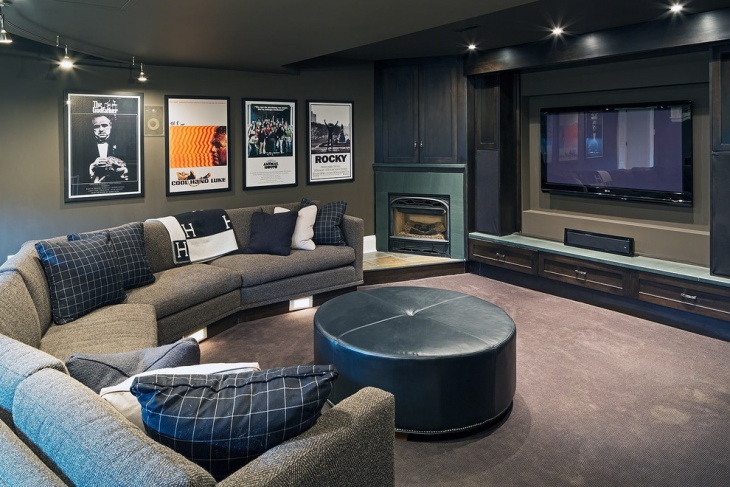 In case you are looking out for a sitting arrangement for a TV room or home theatre, opt for comfortable, curved reclining sectional sofas for the room. The theme is based on the home theatre paint color. The dark colored floor and cabinets around the TV console have a decent match with the sofa. Spacious living rooms look good when you have the blue-grey combination in it. The tufted curved sectional sofa has a right combination of these two colors, aptly complemented with a matching carpet. There is a darker central table, square in shape to add to the elegance of the room. In the homes with odd-shaped living rooms, you can find fabric sofas that complement the colour of the walls and floor. This goes well with the white window and bright interior of the room. Get the required accessories like a fashionable table, lamps and other articles to create a good combination. 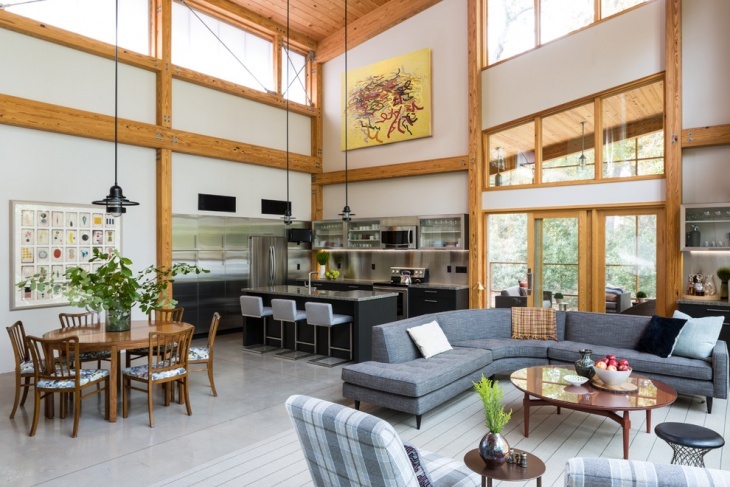 Square rooms with a high ceiling look great with L-Shaped Sofa, grey in color. This has a perfect match with the glass walls in the entrance of the room. 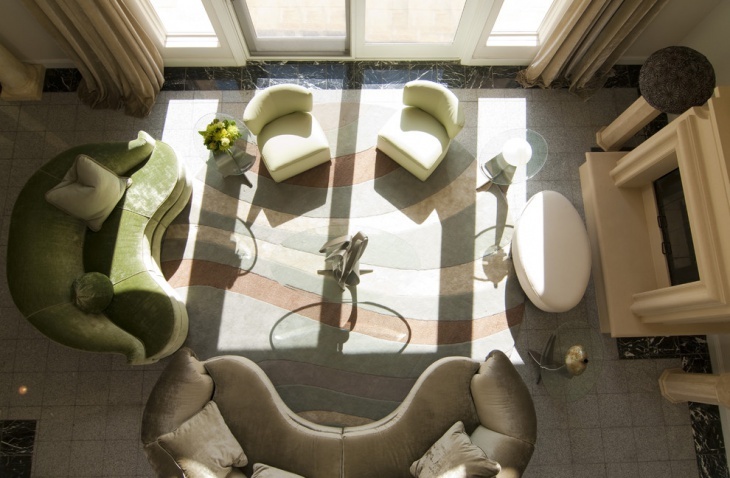 If you have a sitting room right at the entrance, you can incorporate this particular idea. A Royal Sofa can redefine the intrinsic beauty of a house. The curved sectional sofa idea presented above will definitely be helpful when you choose the right setting. You can also opt for your own innovations with regard to curved sectional sofas and let us know about them.